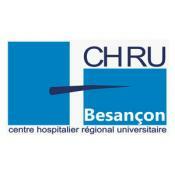 University Hospital of Besançon (UHB) carries out tasks of care, prevention, education and research. It offers a capacity of 1,335 beds. 6,250 physicians and hospital staff take care of 570,000 patients each year. UHB includes two hospitals: Saint-Jacques Hospital, located in the heart of the city since 1686, and Jean Minjoz hospital, located in the heart of the healthcare division. UHB is divided in several divisions for health care of patients, medical research and administrative tasks. The health care services at UHB comprise emergencies, about 40 medical departments including the cardiology department, about 15 departments of surgery, including cardiac surgery, medical and surgical reanimation, pharmacy, 26 laboratories for biological analyses, radiology and imaging. The medical research division comprises 7 departments, including the Delegation of Clinical Research and Innovation. UHB will be the national co-sponsor for the SECURE trial in France. UHB itself will also participate in the conduct of the trial through the inclusion of patients. UHB will be supported by the national network of cardiology (FACT) for the communication with the sites of investigation. François Schiele, MD, PhD, Professor in Cardiology at UHB. François Schiele has been an Associate Professor of Cardiology at the Faculty of Medicine of the University of Franche Comté, Besançon, France since 2001. He graduated at the same University as MD and Specialist in Cardiovascular Disease in 1988 and as PhD in 2000. He has been Chief of department of Cardiology at University Hospital “Jean Minjoz” in Besançon since 2009. Previously, he worked at University Hospital Saint Jacques in Besançon successively as Resident, Assistant in the Department of Cardiology and Chief of invasive cardiology department. Both hospitals belong to UHB. Prof. Schiele became Fellow of the French Society of Cardiology in 1992 and Fellow of the European Society of Cardiology in 1999. He will be the Principal coordinating investigator for France in the SECURE trial (he has been coordinator for France in several other multinational trials like OAT, IMPROVE-it, FOURIER studies).